Keep track free of foreign matter, clean your track frequently – to remove sand, leaves, dirt, debris, moss, mold and mildew. Use the right equipment, a vacuum sweeper, leaf blower, or water sprayer can be utilized. Inspect high traffic areas, such as lanes 1 and 2, starting block locations, cheerleading areas, for wear, repair as required. If the infield is natural turf, make sure that the sprinkler system is adjusted to minimize water on the track surface. 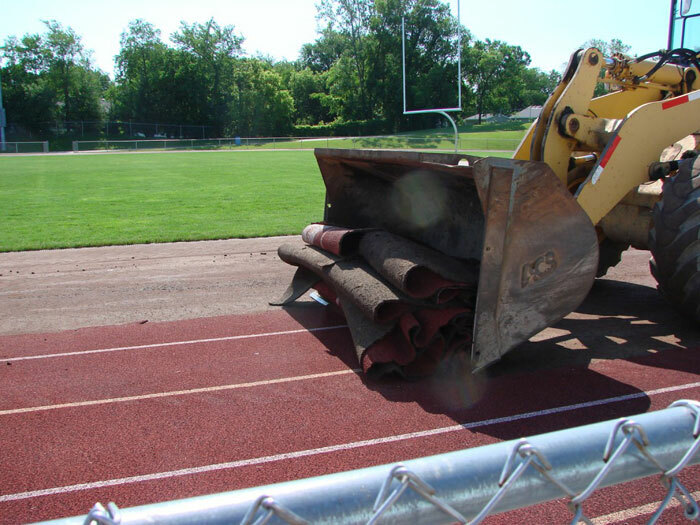 Cross over tarps should be utilized for maintenance equipment and walkways for turf sports when team are crossing over the track. Public walkers and joggers should use the outer lanes to reduce wear in lanes 1 and 2. 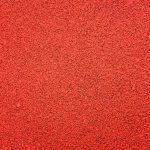 Protective matting should be used when cheerleaders perform their routines and where football teams practice. No athletic shoe spikes longer than 1/8”. Do not drive any vehicles on the track at any time. No pets, skateboarding, rollerblading, or bikes shall be permitted at any time. 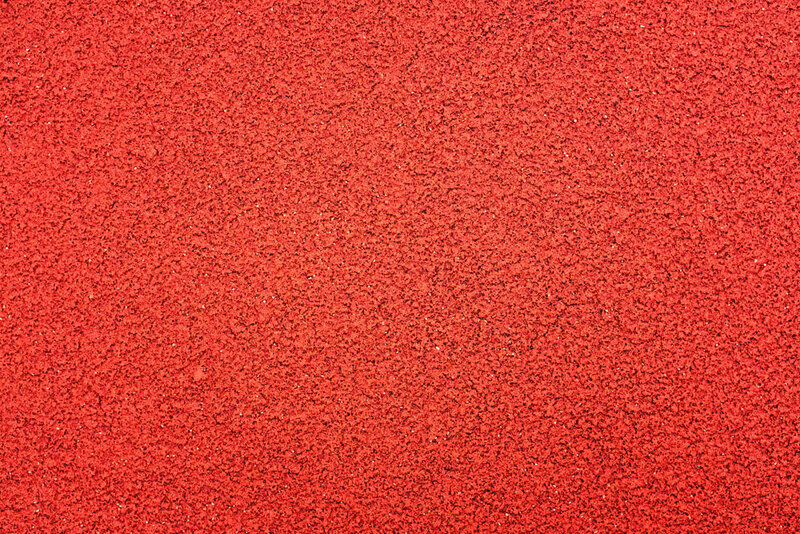 Do not allow fertilizer or grass seed to be spread on the track. A high pressure power washer can be utilized to remove dirt, debris, moss, mildew and other foreign matter that can accelerate the deterioration of the track surface, although extreme care is needed in not to damage the rubber surface. Similar to worn areas, delaminating areas are found in high traffic areas and near the edge of the track. 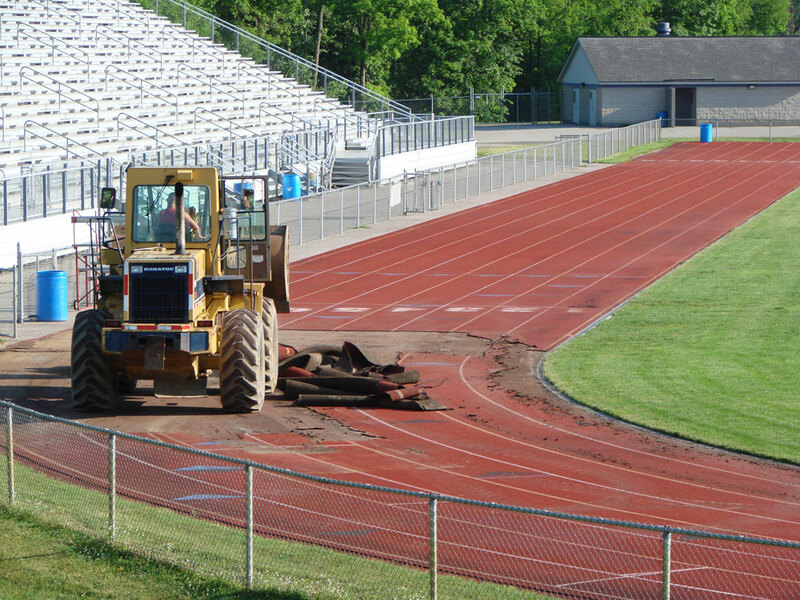 They are areas where the rubber track surface is “peeling” off the asphalt. 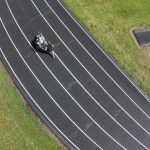 Delaminating areas can be easily repaired, by cutting out the damaged area and replacing with a patch or if the track surface is still in good condition, then the asphalt base can be cleaned and prepped for the rubber surface to be properly glued back down. These areas can occur over time in high traffic spots that are wearing the rubber surface down to the asphalt base or the asphalt base has began to sink, causing water to pond. Most common areas needing repair are cheerleading areas in front of bleachers, starting block locations, lanes 1 and 2, and areas in front of gates where the various sports teams and bands cross the track. The repair can be accomplished by cutting out the damaged area and replacing with a patch or adding a number of lifts, or layers, of rubber and binder to achieve the desired track thickness. 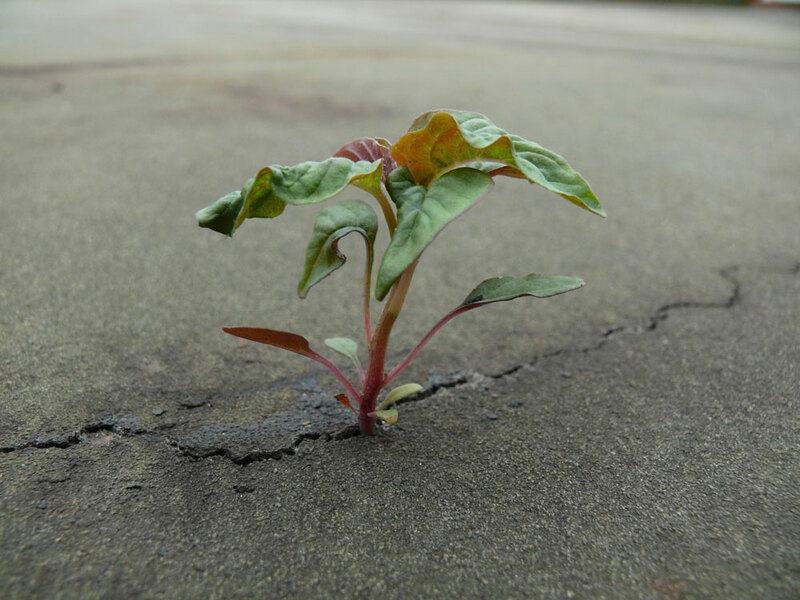 Unsightly cracks occur when the asphalt base forms a structural crack and the crack is reflected through causing the rubber surface to crack. 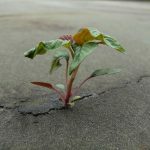 These cracks can be cleaned of dirt and vegetation, and then filled with a rubber and binder mixture to eliminate any safety concerns as well as unattractiveness. Depending on the number of cracks and the size of the area, it may be more cost effective to replace the cracked rubber surface and patch the asphalt base prior to installing the new rubber surface. Overtime, due to normal wear and tear, latex running tracks can become worn and rubber begins to ravel, or become “loose”, therefore repair is required to avoid total reconstruction. 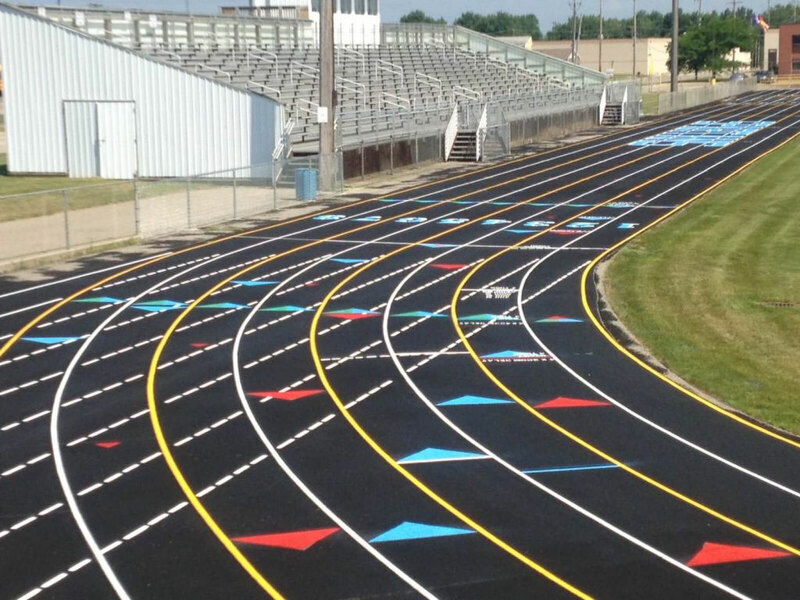 There are two most common repair options, one being, to prime the existing track and apply 2-3 more layers of rubber and latex binder and restripe the running track. 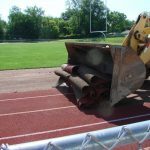 The other option is to apply a latex pigmented structural coating to “lock” the rubber track in place and extend the life of the running surface before total reconstruction is required. 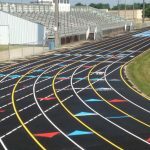 Both are advantageous, when considering the total cost for reconstructing the complete running track system, plus with the structural coating a colored surface can be achieved if desired. 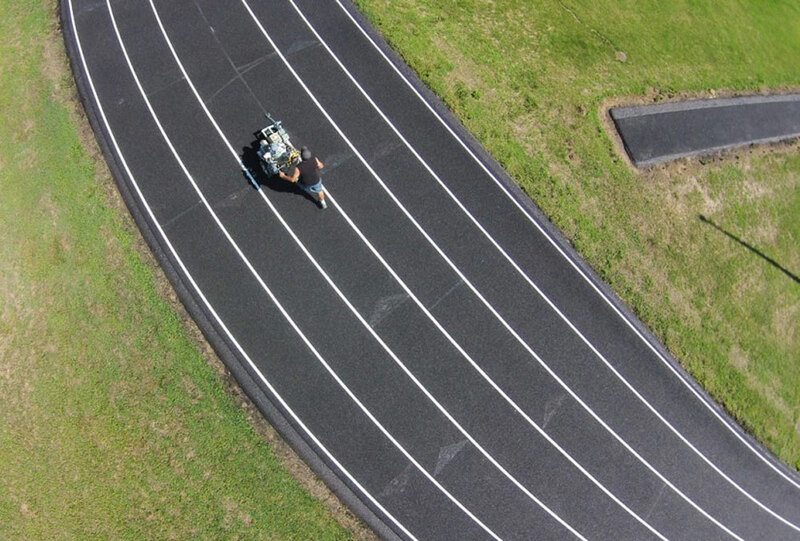 Resurfacing for polyurethane running tracks can be accomplished with the application of a polyurethane structural spray. This system usually consists of two coats and can be colored as well. 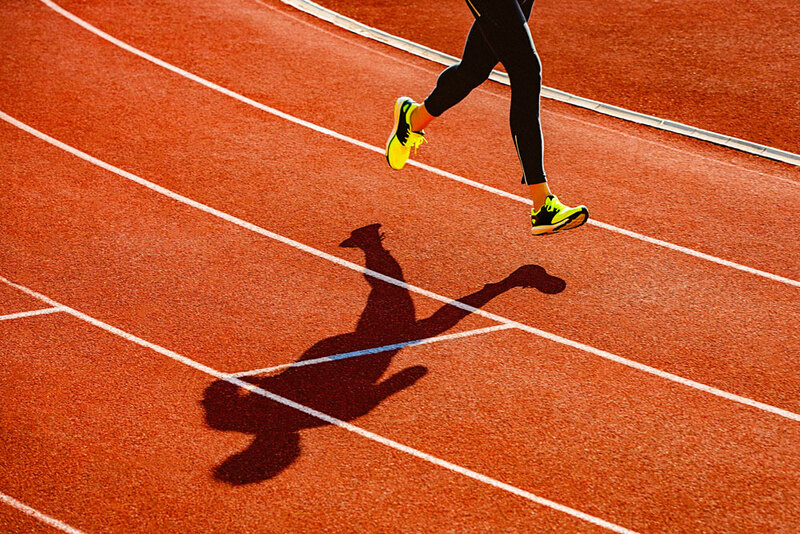 Applied to existing polyurethane tracks, it can prolong the useful life of your running track, when budgets don’t allow for reconstruction. Due to environmental exposure and foot traffic in certain areas as mentioned above, the lines will fade over time and in some instances disappear completely. 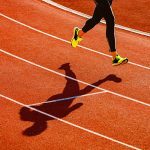 To keep the lane lines and event markings clearly visible for the runners and keep the track looking aesthetically pleasing, it is recommended that you restripe your running track every 4-7 years depending on the usage.